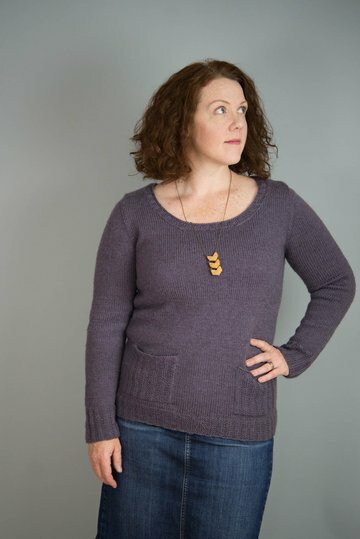 Popham Beach is one of the retreat designs for our fall 2015 make. wear. love. retreats on the coast of Maine. Maine beaches are... ...well, let's be honest. They're pretty chilly places. 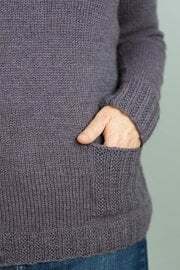 And they require warm, snuggly sweaters, which is exactly what you get with this comfortable pullover. Popham Beach features long sleeves, a low-hip length, patch pockets, and a relaxed fit thanks to waist shaping located on the back of the sweater only. All of the edges are trimmed with Broken Rib, and the pockets are knit out of it as well, for texture. 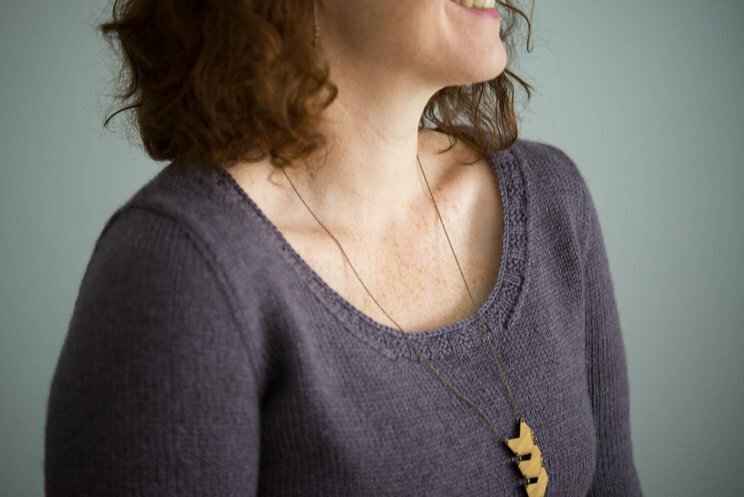 A wide scoop neckline takes any kind of layer you'd like to wear gracefully and with flattering lines. Amy is wearing the sample in an average fit. We worked this sample in The Fibre Co. Cumbria, in the color "Castlerigg". Cumbria is a lovely wool blend with the tiniest bit of mohair for strength and beautiful shine. Amy liked this yarn at around 5.25 stitches to the inch.